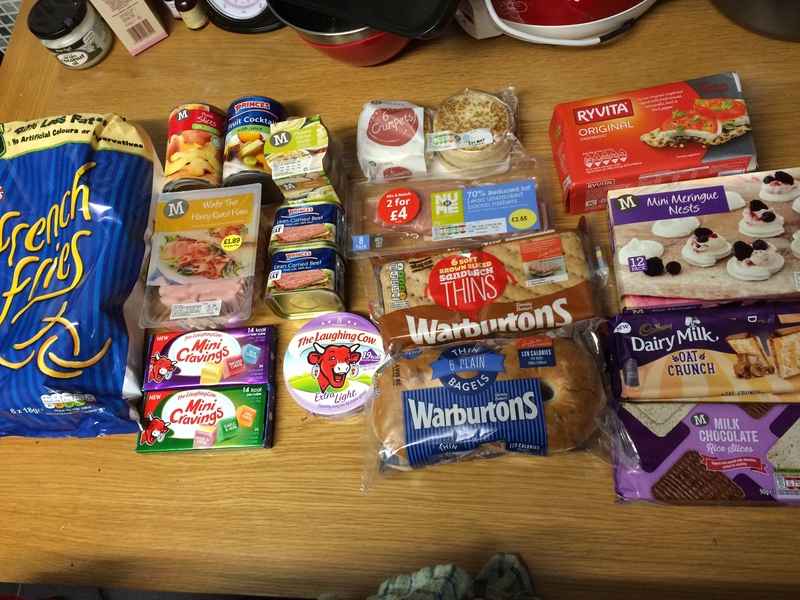 As promised, here’s my food shop from last night. 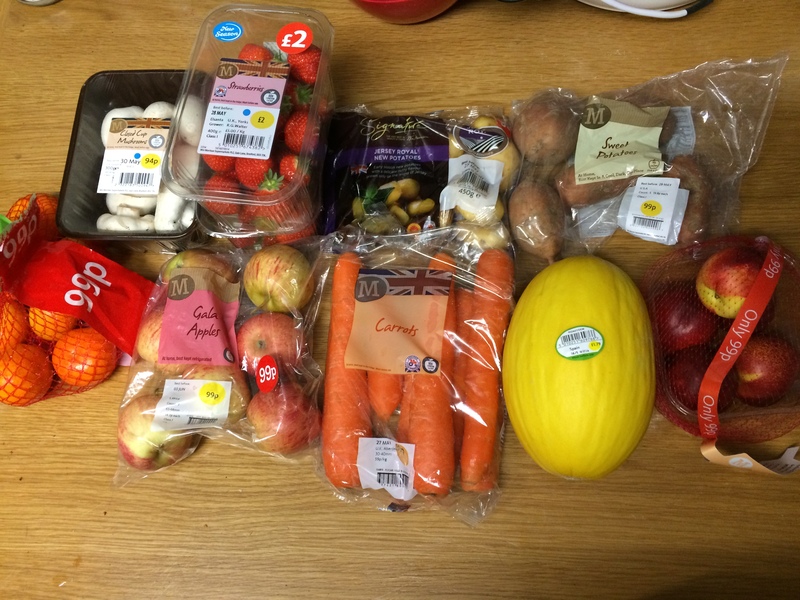 I was a tad over budget (I bought a few things for next week – not sure why!) so I decided I’m going to alter my meals a bit for this week. Instead of KFC on Friday, I’m just going to replicate Monday’s treat dinner so I don’t have to spend any more money this week 🙂 and I forgot to freeze my curry so I’m just using some other stuff I have on hand for a couple of lunches instead. Everything else: French Fries multipack (2pp/pack), tin of sliced peaches in juice, tin of fruit salad in juice, wafer thin honey roast ham (1pp for 35g), 2x mini cravings cheese (0pp for 1, 1pp for 2 or 3), laughing cow extra light triangles (1pp each), 2x lean corned beef (10pp/tin), pack of 3 houmous stackers (3pp for 35g) crumpets (3pp each or 5pp for two), bacon medallions (1pp each), brown sandwich thins (3pp each), bagel thins (3pp each), Ryvita original (1pp each), mini meringue nests (3 for 1pp), 2x Dairy Milk Oat Crunch (4pp/bar) and Morrisons milk chocolate rice slices (1pp each). Anyway, it’s still quite a bit less than normal and I shall refrain from any “top up” shops throughout the week!